NCERT Exemplar Books as acts as a self-assessment book, thereby, helping students to know their weak points and work on it. It is especially needed for students of class 12 since they need to prepare for upcoming entrance examinations. NCERT Books have questions of various forms. Starting from Multiple Choice Questions to Long Answer Type questions. Thus, it is very much important for NEET and AIIMS aspirants. Concepts are explained in details, which in turn, helps students to understand clearly. 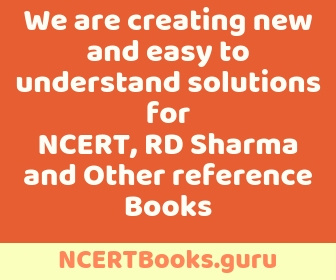 NCERT Exemplar Books follow CBSE Curriculum. So, it will be an added advantage for students of CBSE Board to take help of this book. Students must be well-versed with the CBSE Syllabus before attempting to solve NCERT Exemplar Questions. 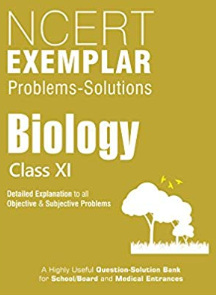 NCERT Exemplar Book Class 12 Biology provides in-depth solutions. This book contains advanced concepts, in comparison to the introductory concepts that were present in NCERT Exemplar Class 11 Biology Book. Therefore, students will have a strong foundation and be confident to face the upcoming entrance examinations, like NEET, AIIMS, JEE Main, JEE Advanced, WBJEE, etc. NCERT Exemplar Book Class 12 Biology have varied types of questions, be it Multiple Choice Questions or Long Answer Questions. This book is specifically helpful for students who are preparing for Medical Entrance Examinations. The solutions given for each question are to the point, In fact, it covers the main concepts asked in the question, with proper diagrams, wherever applicable. There are 16 chapters and 2 model question papers in NCERT Exemplar Book Class 12 Biology. Each chapter contains questions in various formats. In addition, diagrams are provided with proper illustrations, thus, explaining about human, animal and plant anatomy in a more detailed manner. Therefore, making students more aware of the type of questions that are asked in examinations.